You are here: Home / Saving Money / Save Money this Summer with Groupon Coupons! 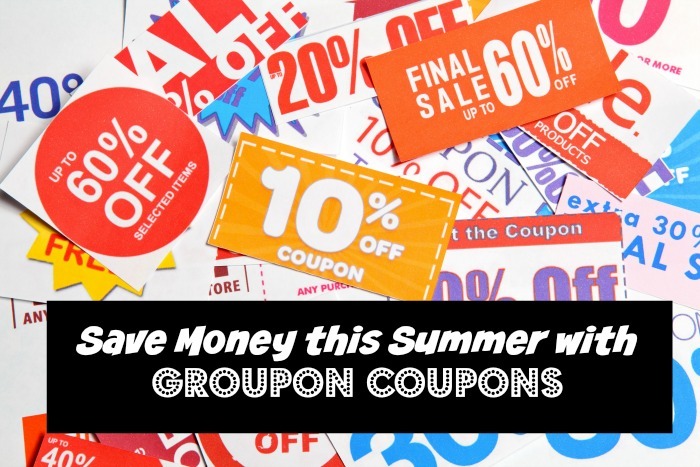 Save Money this Summer with Groupon Coupons! Are you someone who loves to shop? I will admit, I go into spells where I really enjoy looking to see what some of my favorite stores have, every season of the year. Right now, many of those stores are having sales not only for the 4th of July, but some fantastic summer sales as well. While these sales are pretty fantastic, there is only one thing that can make a great sale even better – coupons! Most well known stores don’t just place coupons in the weekend paper, but place them online as well, allowing you to get even better discounts shopping at some of your favorite stores in person or (my personal favorite) online! As someone who refuses to ever pay full price and always looks for hot deals, I was excited when I learned of a new place to find amazing coupons – Groupon Coupons! If you haven’t heard of this latest feature from Groupons, don’t worry, it is still fairly new and was just recently launched. 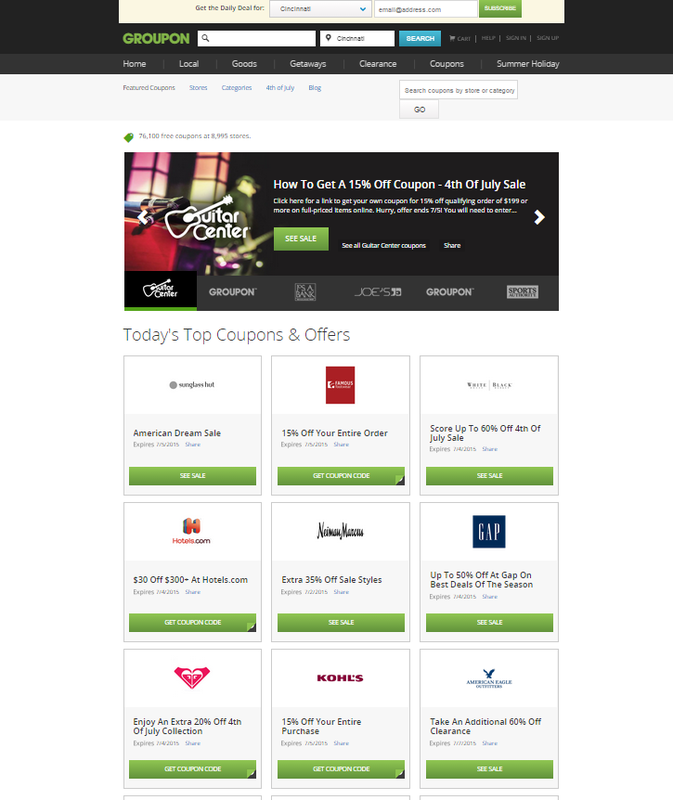 Best of all Groupons Coupons features over 77,000 coupons from more than 8,900 stores, allowing you to get free and exclusive coupons from many of the hottest stores. So, who are some of the stores offering coupons on Groupons? Some of our personal favorite include KOHLs, Nordstrom, Neiman Marcus, and even Macy’s! Best of all, it is easy to use and completely free, allowing people like you and me to buy high quality items we want at prices anyone can afford! Want to check out some of these fantastic coupon offers for yourself? Head over to Groupon Coupons today and see why everyone is talking about some this new addition to the Groupons site. Once you take a look at all their amazing coupons, we will never thinking of shopping at your favorite stores the same way again! Want to learn more? Check out Groupon on social media! I was not aware that groupon had coupons. I have heard of, but haven’t checked it out. I really don’t shop online very much. When I do it’s only with a prepaid or gift card.